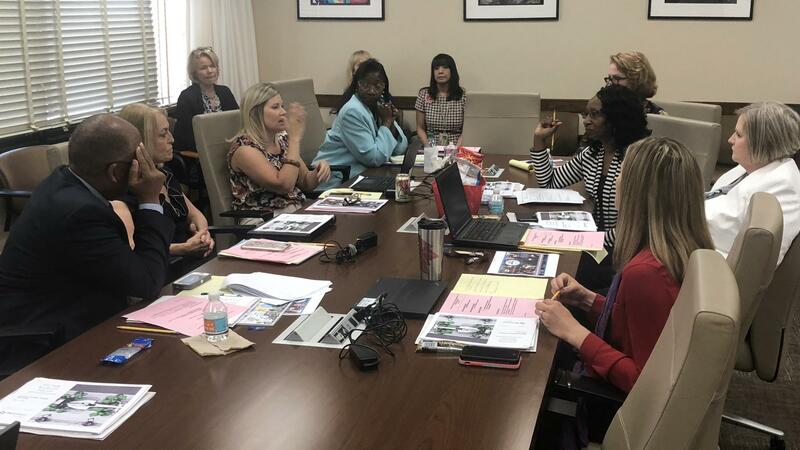 The Duval County School Board meets for a workshop Tuesday. In 2016, four Duval elementary schools — R.L. Brown, S.P Livingston, Hyde Grove and Oak Hill — were closed down and reopened as new schools. For example, Oak Hill became an autistic center and R.L. Brown became a gifted and talented academy. 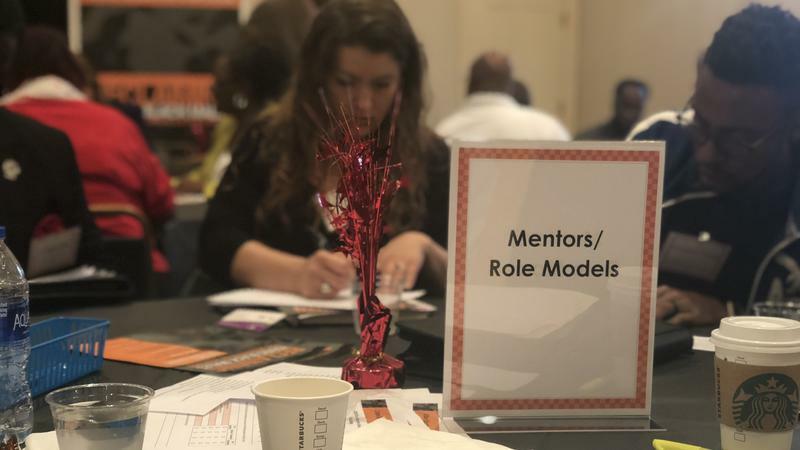 Duval interim Superintendent Patricia Willis, who has been leading the district since May 2017, said she’s been working with the Florida Department of Education on a corrective plan, which includes assigning the students to higher-performing schools — something that should have been done in 2016. Although the students will have to be enrolled in new schools, under the state plan, parents and guardians can then re-enroll kids in the schools they were attending for the past two years or choose a different school entirely. That’s under the state’s open-enrollment policy available to all students. The state reached out to Willis after finding inaccuracies in the list of reassigned students the district submitted in 2016. 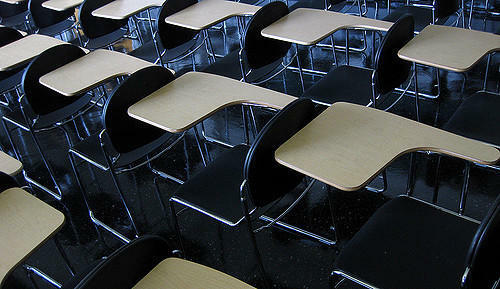 Nearly 200 student records were duplicated, and 900 were omitted. In addition, the district was supposed to track how the reassigned students fared after their schools shut down and submit their progress to the Department of Education. “None of that had been reported to the state,” Willis said. The reassigning was supposed to happen under the leadership of former Superintendent Nikolai Vitti. In July of 2016, Vitti answered to the state Education Board about not planning to reassign all students to schools with at least C grades as the state was considering his plans for the low-performing schools. He said he was correcting the error and would send parents letters. At that time he also said many students were already choosing schools outside their assigned schools, like magnets, and he was supportive of that. Willis said it’s not known if the students being reassigned now, were assigned to lower-performing schools in 2016 - or not officially reassigned at all. Board member Ashley Smith Juarez was chair when the schools closed and reopened. She said the reason not all were reassigned is unclear because she too said Vitti told the board all students had been reassigned correctly. She said some of the reassigning happened in August 2016 right before school started, but parents were allowed to arrive at the school they wanted their children to go to on the first day even if they weren’t enrolled. Florida DOE Regional Executive Director Wayne Green said he’ll be presenting Duval’s corrective plan to the state board next week. “They may have some questions, but I’m confident the corrective action steps you’re taking will satisfy the state board,” he told school board members on Tuesday. Aside from the reassignment confusion, Green’s presentation addressed how all 2,000 or so elementary students affected by the school closures are performing two years later. Nearly 40 percent are not reading on grade level, and 35 percent aren’t proficient in math, he said. 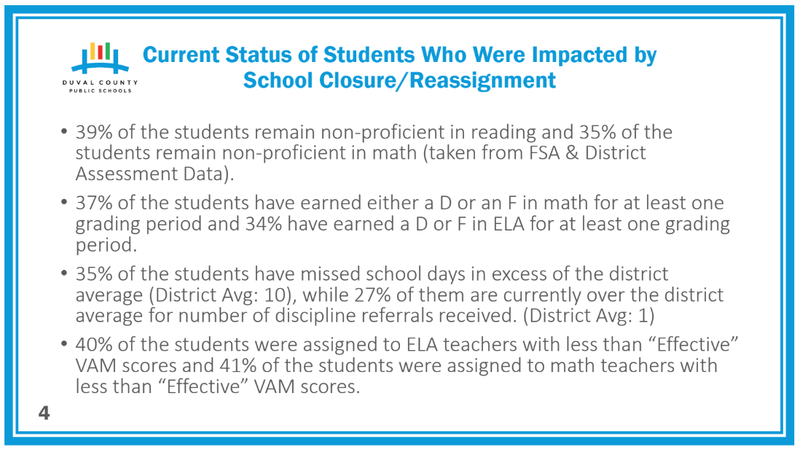 In addition, 35 percent have missed more school days than the district average of 10. Smith Juarez said she’s concerned about reassigning the students who are performing well, saying it could be disruptive if they’re excelling. “To me it doesn’t make sense to then take what is procedural in terms of student reassignment two years after it was required by rule and apply it in a way that could be detrimental to students,” she said. However, Green said the students have to be reassigned according to the law. “Having done what the law requires, we wouldn’t be here taking corrective steps,” he said. She said the district is still deciding how and when it will notify parents and principals. District staff said they’re planning to follow up with parents, letting them know after students are reassigned that parents can still change their child’s school. 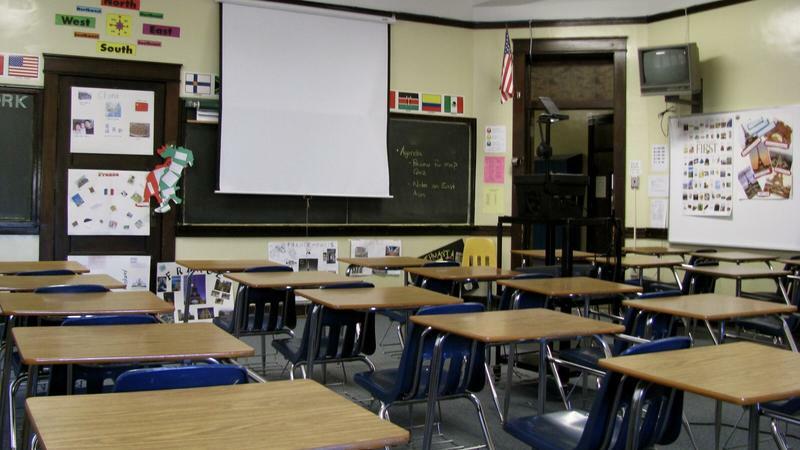 The Florida State Board of Education is asking Duval Superintendent Nikolai Vitti to revise two of the district's school boundary changes. Vitti attended the state meeting Thursday to present plans to fix six low-performing schools. Those include turning Oak Hill Elementary into a center for autistic kids and Hyde Grove into an early-learning center. UPDATE: The Department of Education had originally recommended the new scores impact next school year’s seniors, but that’s since been amended. If approved, the new concordant score requirements would start impacting incoming freshmen, who would graduate in 2022 and beyond. 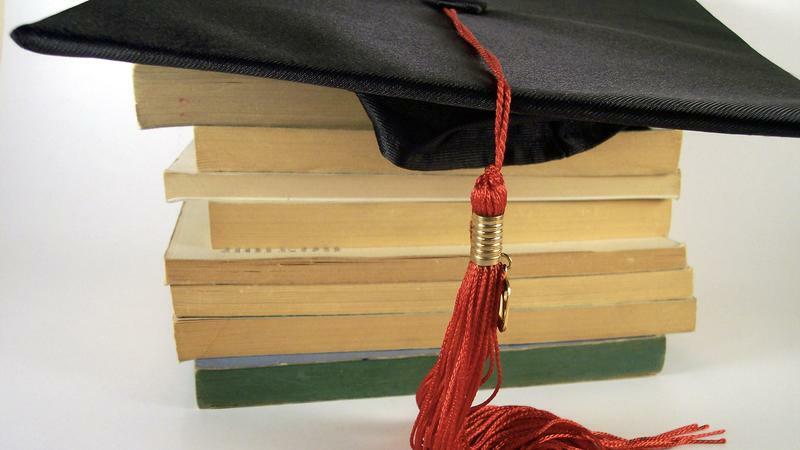 The Duval County School district says its graduation rate will likely tumble next year if the state Board of Education approves proposed new requirements.